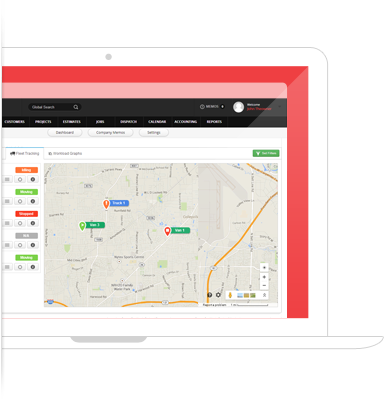 Service Fusion is one of few field management software products on the market today that is fully integrated with several hardware GPS tracking devices. 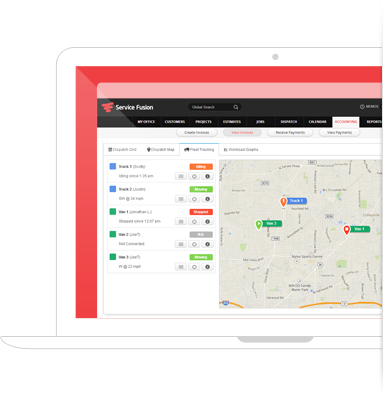 This allows you to take full control of your fleet without relying on your field workers' mobile phones. Start tracking in as little as 90 seconds with our plug-n-play GPS trackers or have it permanently installed in your vehicle by connecting just three wires.